LG's Q6 is definitely not an old smartphone by today's standard, but it's clearly an entry-level one. Launched on the market about one year ago, the Q6 is equipped with a low-end Qualcomm Snapdragon 435 processor, 3GB RAM, and 32GB expandable storage. The cheaper version of the Q6 is called LG Q6α and packs lower memory under the hood: 2GB RAM and 16 internal memory. 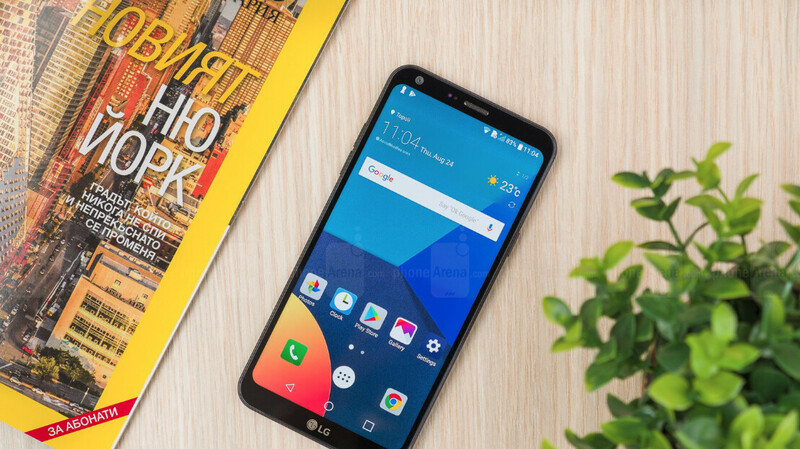 The most expensive of the three Q6 series, the LG Q6+ has 4GB RAM and 64GB storage inside. Since the phone was released with Android 7.1 Nougat on board, we thought that LG won't bother updating the Q6 series to Oreo, especially that the South Korean company has a decent backlog of smartphones that are better-geared specs-wise that haven't received the update yet. In any case, it appears that LG has already started deploying Android 8.0 Oreo update for Q6 in South Korea, according to the local press. Moreover, we have a changelog that lists some of the features the LG Q6 is getting after the update, such as DTS:X 3D stereo sound and new camera LED options. Although the update is now rolled out in South Korea, we can safely assume that LG will make it available worldwide in the coming months. It remains to be seen whether or not all LG Q6 series phone will get the update, but for now, it's only available to the regular Q6 model. This is the most compact 5.5 inch 18:9 screen. I wish LG will make an upper midrange device with this size.